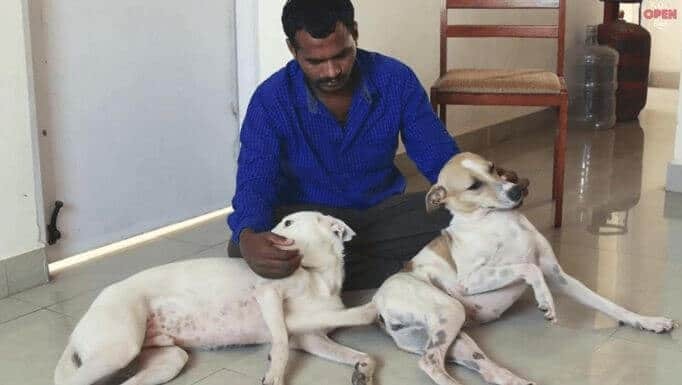 Man Saves Money For 10 Years To Buy Ambulance For Stray Dogs! Sometimes when you cut through the worldly noise, you bump into the heartwarming tales of humans who aren’t undone by resources but fuelled by the passion. Legends like that of the old man who calls stray dogs as his children in Nainital, the Sardar ji who feeds stray dogs in Chandigarh or the rag picker who looks after hundreds of dogs in Delhi. Meet Balu, the man who belongs to this rare species. Balu saved money for ten years to buy a van which he turned into an ambulance for stray dogs. 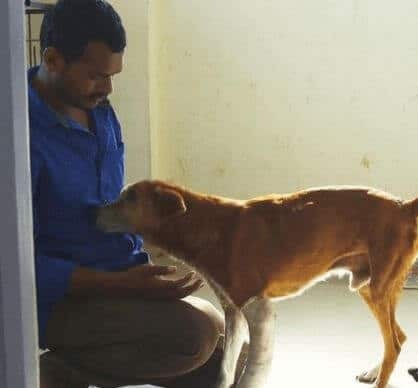 By training, not a vet, Balu the Pune resident learnt the basics of animal care – dressing wounds, putting up saline and handling injections by hanging out with professionals. 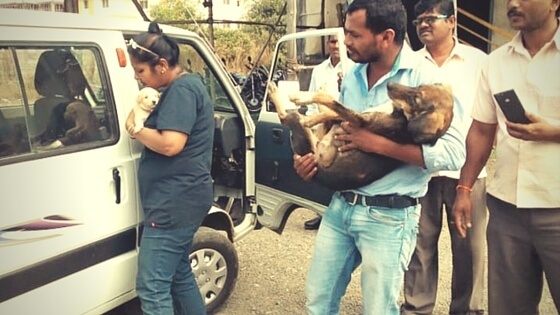 Balu’s unique ambulance service takes the hurt and homeless dogs in Pune to the veterinary doctors for treatment. We at Dog with Blog are sure that James Herriot would have been proud of Balu! Apart from running this ambulance for stray dogs, Balu also looks after sick cats and dogs in his home, providing them with the first-aid. He also nurses to health dogs with broken bones or such injuries. Balu fosters pups as and when the shelters are at their peak capacity, at any point in time he has around 4-5 dogs with him at his humble abode. Who says one needs a formal education to be kind? Keep up the good work, Balu! On behalf of all the Pune dogs, here’s raising a toast to you! Posted on February 21, 2016 February 22, 2016 Author Abhishek JoshiCategories Hail the hound! Such a nice gesture. In today’s world where a human is not bothered about another human, a nice human does worry about other species too. God Bless you Balu! Salute to this gentlemen. A great deed. Previous Previous post: How an orphan baby elephant is helping others of his kind? Next Next post: The Puppy Who Survived Slaughter House To Find Love!